We were a party of of 6 adults and 2 children staying at the resort. Staying with my husband, daughter, father in law, sister and brother in law with their 21yr old and 6 yr old daughter's. The Villa was amazing and catered to all needs, definitely a great place to relax after a day of theme parks and shopping. The pool and pool bar area was spotless clean at all times and I definitely felt it safe enough for my 6 year old to swim in. She loved it and it was hard at times to get her out of the pool because she was having so much fun. I used the gym facilities as did my husband while we were there, even though it was small there was still enough machines to get my workout done. Pool bar had a great variety of drinks and snacks which was handy. What really made our stay special was the friendliness of the staff, they were awesome nothing was ever too much trouble. Will definitely be back to Villas at Seven dwarfs lane on our next visit to Florida. Excelente, todo limpio y el lugar es muy bonito y exclusivo. We were a family of 6 staying there so the 4 bedrooms and 3 bathrooms were just what we needed. The unit was very clean except for a dirty diaper we found under the bed in the downstairs bedroom. We found the amount of rules and regulations plastered everywhere somewhat harsh and in your face. You wondered if you were on holiday or in prison. Being from SouthAfrica, we don't have central heating or things like waste disposals so had no idea how to use them. There was a strict instruction to keep the temperature set at 75f but it was 78 when we arrived. The surrounds are very nice and quiet, well maintained and colourful. Due to time constraints we only got to use the hot tub and pool on 2 occasions but they were excellent. My sore feet enjoyed the hot tub. We also never made use of the bar or food facilities inside the clubhouse. Some of the units furnishings could do with a bit of TLC but I do understand its a rental and the owners don't want to spend too much for others to use and maybe damage. After one bad foot day I went to have a hot bath in the huge tub in the downstairs bathroom. The hot water ran out before it even got to cover my toes. Small things to be sure! We were 7 person at the party. Nice staying and very confortable house. Restaurants are close, and Disney and Universal were just in no more than 30 min. It was wonderful . Close to all parks . We all loved it didn't want to leave lol. I will definitely rent it again. The house was clean and beautiful when we arrived. Our kids loved the sprinklers. It was overall exciting. My family loved the space and the homey feel of the rental. Really enjoyed that was close to Disney and to Universal and to everything else. We are definitely planning on staying on our next visit!! Excelente lugar, casa cómoda, con un excelente Club House. Everything was great but the AC broke and the fixing procces took a bit of time they did not change our house at first untill later. The furniture needs to be updated because it feels old. Other than that everything was great it really felt as our home. Thank you. Stayed here twice and we really loved it. We are definitely coming back. 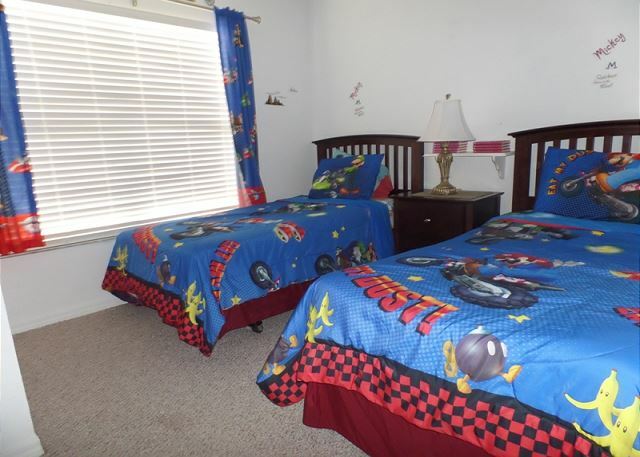 The property is really nice because it has all the necessities we needed for our week long vacation. It is also close to all Disney parks and shopping centers. Basically good. 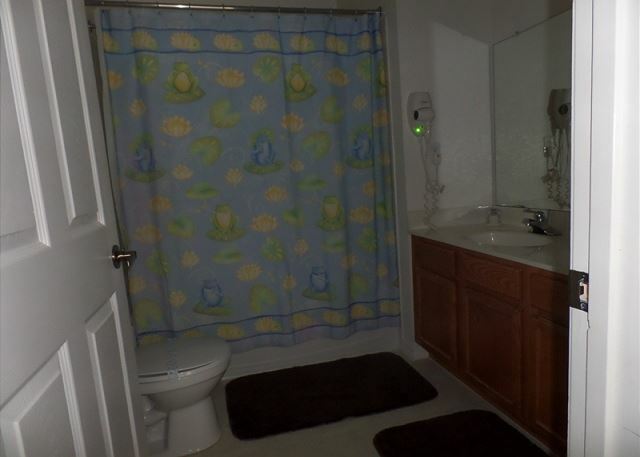 Would like more bath room paper and paper towels available. The restaurant was over priced for the food. The $1 wine was terrible. 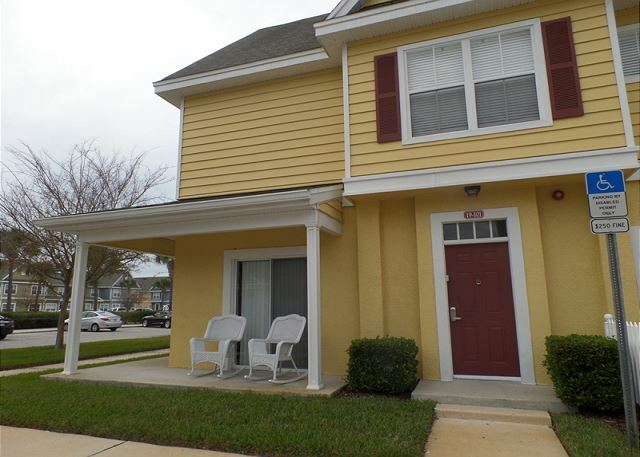 We were at Orlando for vacactions and as part of it the rent at Villas at Seven Dwarfs was a great decision !!! We had a lovely time the villa was easy to rent and the customer service over the phone was great. Villa spotless and had everything you need apart from a kettle which we found odd. Would defiantly use and stay again made our holiday all the more enjoyable. Best property and resort ever. Great security, staff and close to Disney. Everything was perfect! I will call them again to book my next stay at Villas at Seven Dwarfs. Best vacation and service ever. 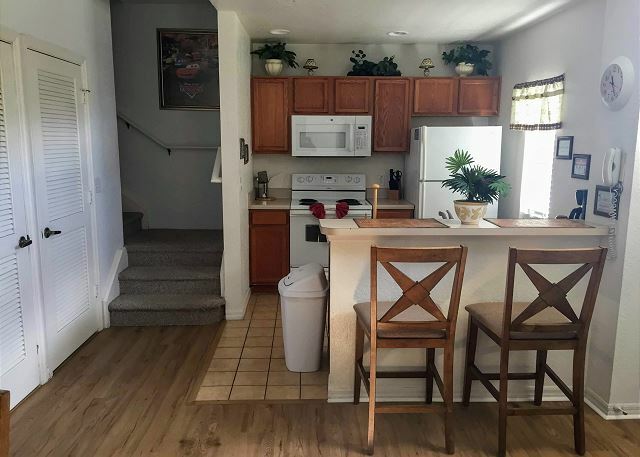 Townhome was clean, friendly staff, a lot of activity to do during your stay! The villa was extremely clean and nice. A perfect place to spend the little time you do when visiting Disney every day. Everything was great, location, property's condition, kitchen equipment and reservation process. The cleaning could be a little deeper, but nothing to complaint about. 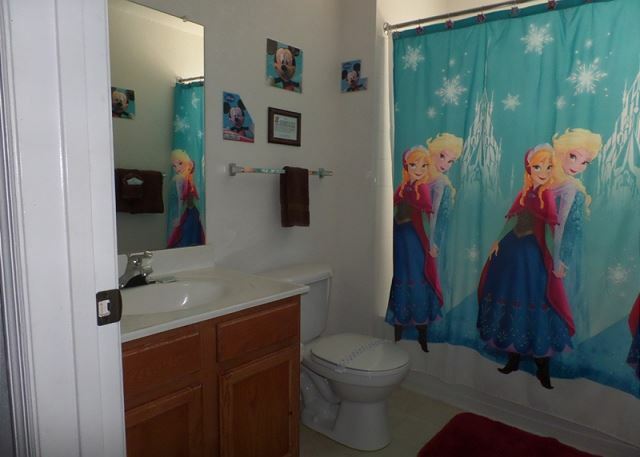 I definitely recommend this property. 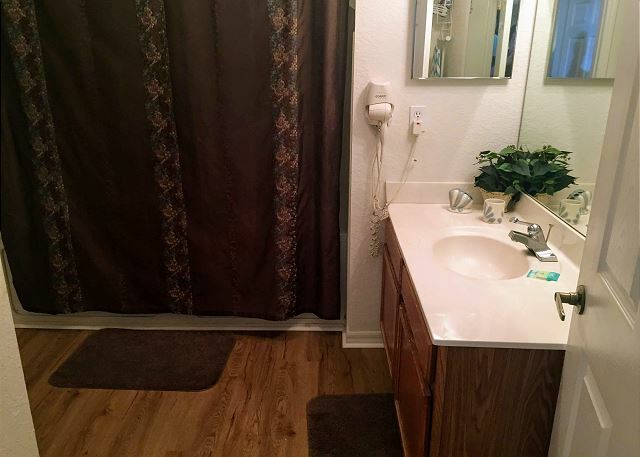 We are so satisfied with the property. We are definitely coming back here to stay for our next vacation. THANK YOU ERIC AND THE STAFF! Our cheer group loved it. Very clear, nice staff and lots to do. The price is great as well. This was our 5th year at Seven Dwarfs and we have already booked for 2015. The resort is well maintained and the staff is friendly. We enjoy visiting with other repeat customers. 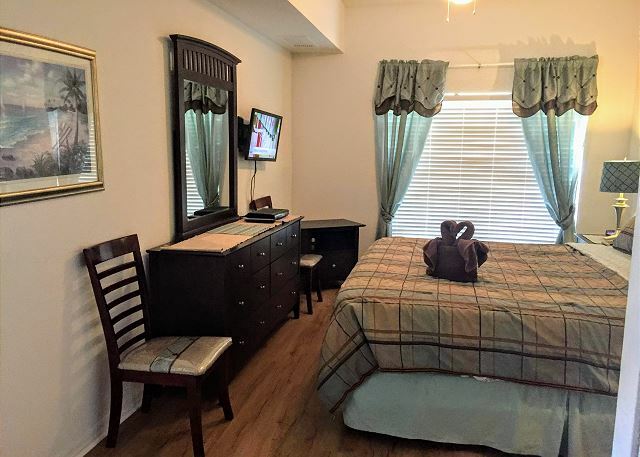 The resort is close to Disney and to a variety of shopping, Florida Mall, Premium Outlet centers, etc. not enough hours in the office-- need dishwashing soap and toilet paper. Excelentes villas con todas las comodidades y un mantenimiento de primera clase. Las unidades muy bien cuidadas y con todo lo necesario para sentirse como en casa. Su ubicación es envidiable, cerca de TODO, malls, parques, restaurantes, etc. No lo pensaría dos veces si tuviera que volver a Orlando, este sería mi lugar de hospedaje, de seguro. This villa was perfect for us. 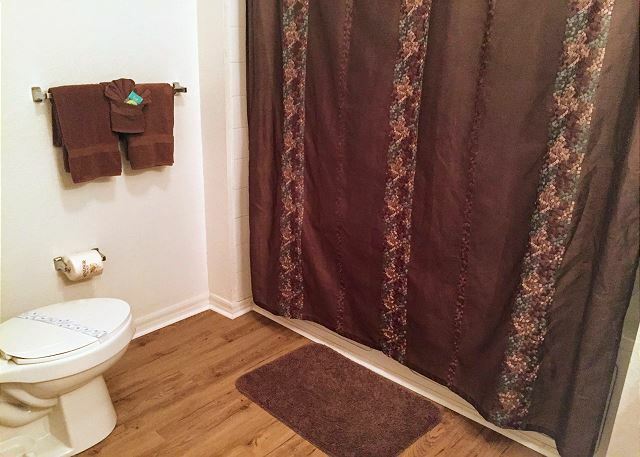 Clean, comfortable, nicely decorated. 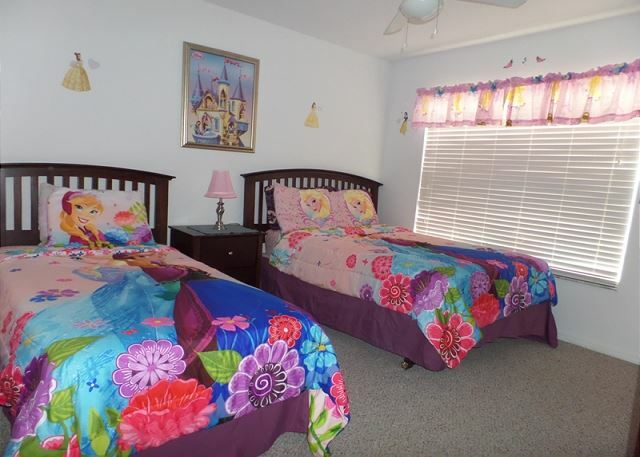 My kids loved the mickey and princess rooms. Will definitely stay here again. I stayed at The Villas Seven Durf with may family in October and we have a very good days in this property. Nuestra estadía era por 4 noches, pero una vez que llegamos a la casa decidimos quedarnos más. Muy cómoda y agradable te sientes como en tu casa propia. Definitivamente cuando tengamos oportunidad de ir de Nuevo no dudaremos en quedarnos en las villas. Near to Disey Resort has a great staff. Eric had assisted us from the begining until the end. Thank you for all your support during our vacation. Everything was super! For the second time, it was a sensational experience. Kids and adults loved the pool and the hot tub. The fitness facility had sufficient equipment to allow continuing an existing workout regime. Drive to Disney and other locations was quite convenient. Can't say enough about the place itself. Clean and lots of room for 8 people. Excellent!! I absolutely loved the resort!!!! Its a home away from home. I loved the townhouse we stayed in and even the kids were impressed. The decor was amazing. Management was professional and I would stay again in a heartbeat. Thank you for making our mini vacation and enjoyable experience. I stay at Villas at 7 Dwarfs and was fantastic! 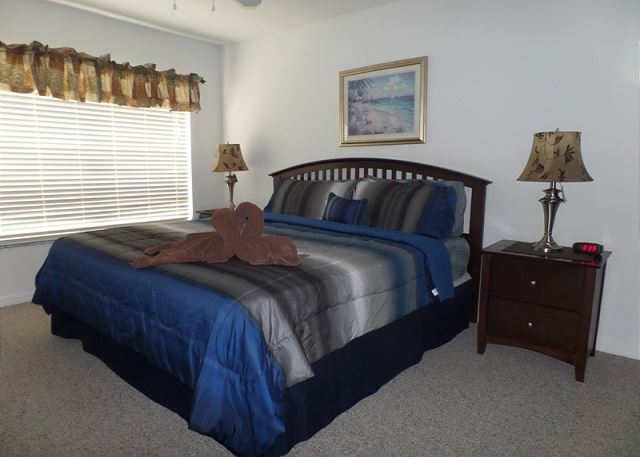 Only 4 miles from Disney Parks, close to the outlets stores, attractions, etc. We really enjoyed the condo being so close to the parks. Being close allowed us to get away from the busy atmosphere and return "home" to a home like atmosphere. Our family made good use of the pool, hot tub, volleyball court and fishing pond. The only complaint that I would have is having no dishsoap or papertowel in a homelike atmosphere. after the reservation-confirming by a extra fax- confirmation was necessary. This was very ambiguous and almost failed. Esta casa fica em um condomínio fechado, muito seguro e os porteiros são muito atenciosos. Ela é muito bem arrumada e aconchegante. Fica próximo a Target, Wendy's entre outros, 10 min da Disney pegando apenas uma avenida e 20 min da Universal pegando 3 avenidas, muito fácil de chegar a qualquer lugar. Vá de ônibus ao Holiday Inn que fica na mesma avenida e alugue um carro lá que é muito mais em conta que no aeroporto. 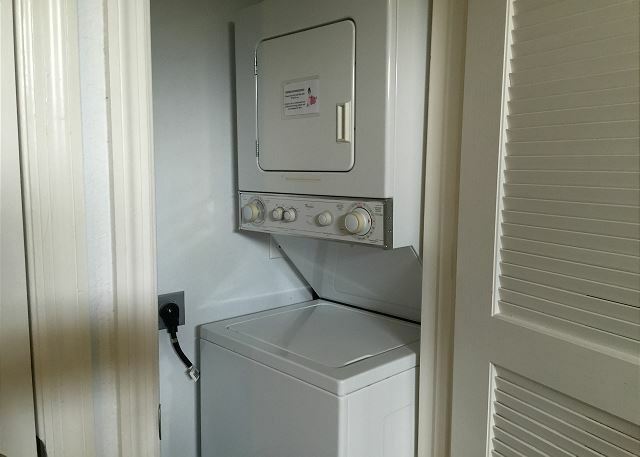 Você se sente como se estivesse em casa, eles oferecem toalhas e roupa de cama sem custo adicional, mas lembre-se que é uma casa e não um hotel, portanto não existe serviço de quarto nem atendimento, mas os porteiros ajudam em tudo que precisar. Recomendo com certeza! My family were delighted with the Villa at Seven dwarfs. We had a very enjoyable and relaxing stay, helped by the facilities on sight and good location, near shops, easy access to parks, etc. Would definately recommend and stay there again. We had a great time at the resort. My only complaint would be the very sparsely exquipped kitchen. We had to buy a tray for the oven i order to use it. It would have been nice if there had been a couple of more bowls and platters, i.e a o in the kitchen. Again it was a wonderful stay with all comfort we needed. Good spot for various activities, Disney and Universal, Seaworld and Aqatica. The property was perfect for our trip, we used the pool on several occasions which was nice after a long day at the parks. The security was very good and all the guards were helpful and polite. I would stay at the villas again in the future. We are happy you had enjoyed your stay! The property was more than what we expected - very personal (the kids were ecstatic when they discovered their Micky/Princess decorated bathroom and bedrooms with toys and their very own TVs! We loved the two master suits - one with a jacuzzi tub which was the perfect end to the Disney 'death march' day! Kitchen and living area clean and well appointed. Would stay again. Thank you for your comments. We are really happy you and your kids enjoyed your stay at our Snow White 4 bedrooms villa at The Villas at Seven Dwarfs. Aircondition not sufficient for two story house, upstairs too warm while downstairs already feeling "cool". Given rules on Premises like no glass at pool were ignored by most guests (mainly beeing US, sorry to say). Necessary repairs were done in a day. Some appliances need replacement. Dining table for a house of 4 bedrooms way to small, seats max 4 persons comfortably. Waterfountains playing across the pool all day are distracting to swimers and very noisy while sitting at the pool. Access to the house at night very difficult. You need to open a lockbox at the front door, unfortunately there is no light, so its nearly impossible to read the numbers. Bring a flashlight or if you're a smoker have your lighter readily available. Sorry to hear about your comment that the door entrance was too dark. Yes, there is a light that needs to be turn on from the living room and the entance door and the balcony gets iluminated. In regards the a/c we recommends guest to set up a/c during hot days to 73 degrees to get a comfortable temperature. We invite all our guest to notify our office upon knowlegde of any missing or damage item, so we can replace them as needed during your stay. Thank you for staying in our property and we hope to serve you in the future. we would recommend this house to our best friends! We loved our 2 week stay at the villas at 7 dwarfs lane .The property was immaculate and extremely well maintained .The townhouse was amazing and provided every convenience of home,ezcellent value for the money.This property is ideal for families the pool was beautiful and all the staff members were really nice and helpful.I cant say enough poisitve things about this place.We are definately returning next year without hesitation.I believe the property management fully understands the needs and expectations of travellers and this has been proven to me during my stay at the villas.Thank you everyone and Eric for a memorable vacation . We loved the villa and it's location. It was in the middle of all of the ammenities we like to have on a holiday. The pool was wonderful. The beds were hard and uncomfortable but that was the only issue with the home. I think that next timewe will look for a location with highspeed internet available in the home we rent. It was expensive and inconveient to use our computer and it could have been a great tool for us to find other sights and ammenities. Overall we enjoyed it and would stay there again.